I remember fondly the Nintendo Direct that aired on my birthday in 2013. 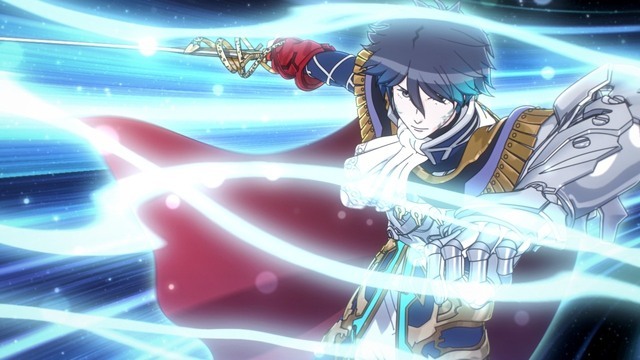 In it, it was announced that a crossover game featuring Fire Emblem and Shin Megami Tensei characters was in the works. I was ecstatic. I never thought in a million years that two franchises that I adored would ever be brought together, especially considering how different they are. Since the title was so early in development, there wasn’t much information of its setting or even the gameplay, but it still rocketed towards the top of my most anticipated titles for the Wii U. 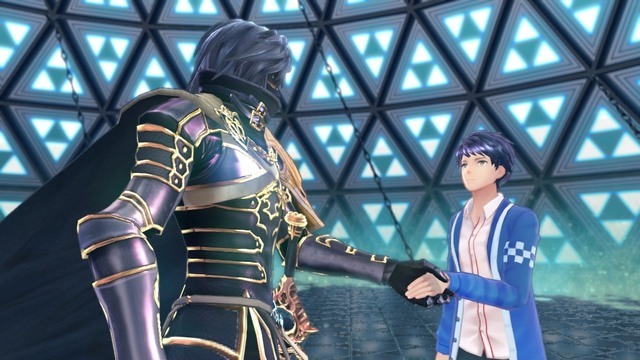 Months and eventually years passed without so much as a peep, and I feared that the game (known then as Shin Megami Tensei X Fire Emblem) had slipped into development hell and/or cancelled. Eventually, the game resurfaced, but what was being shown was nowhere near what I expected. A series about demons and another about medieval warfare had somehow mixed to become an RPG about pop idols who can fuse with Fire Emblem characters (who show little resemblance to their original forms, I might add) in order to combat beings known as Mirages. 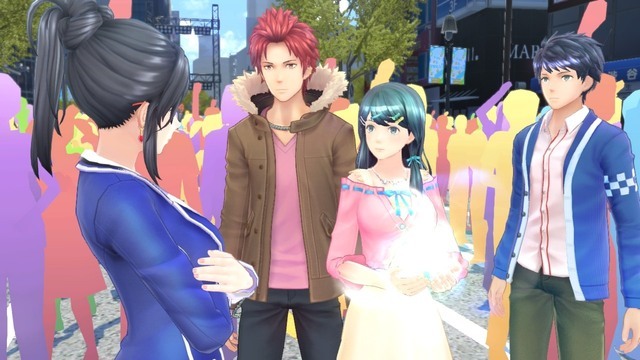 Flashbacks of Omega Quintet suddenly washed over me and I felt as though the resulting project, Tokyo Mirage Sessions #FE, was a lost cause. Then I actually played it. Just like that it rocketed to one of my favorite games on the platform. Narratively, TMS#FE has little connection to the properties it’s inspired by. One day, an entire opera house full of people just up and vanishes without a trace, save for a young child named Tsubasa. As she gets older, she herself gets abducted by a mysterious entity while auditioning for the role of a Japanese pop idol. Her friend, Itsuki, follows her trail into a realm referred to as the Idolosphere, where it is revealed that creatures known as Mirages dwell there. These Mirages feast on the Performa (basically creative energy) of humans, hence the many disappearances that have occurred as of late. Since they themselves have such powerful Performa, Itsuki and Tsubasa can break the curse on and subsequently control their own Mirages who aid them in battle. They are then enlisted by a talent agency that plays host to numerous other Mirage Masters, and together they attempt to unravel the mysteries of the Idolosphere. Written out like that, the concept sounds very cheesy, but the execution is anything but. Each member of Fortuna Entertainment has an interesting backstory that’s fleshed out over the course of the narrative and the many side stories, save for Itsuki who is mainly just a vehicle for the player. Even the Mirages themselves (which are represented by Fire Emblem characters) are motivated by their desire to remember their past and grow with the characters they’re bonded with. 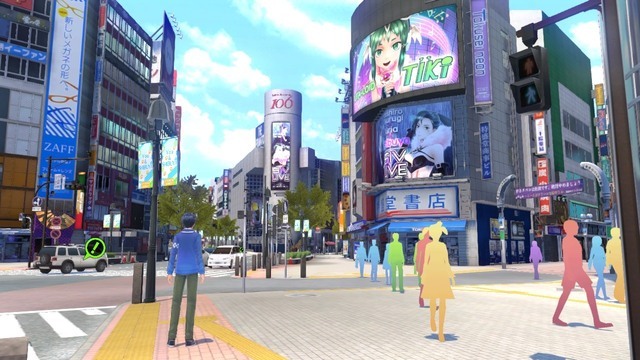 TMS#FE also explores idol life in Japan, something I hadn’t seen too much of outside of Haruka’s segments in Yakuza 5, which I thought was interesting. Not only do you get to witness the on-stage performances of many different characters, but you get a backstage look, so to speak, and are there for everything from the training to the menial prep work. Really, the worst thing I can say about the plot is that it’s largely predictable and some of the revelations can be telegraphed for miles. As with most JRPG’s, you spend just as much time in combat as you do with its story, and I’m happy to report that the battle system is up to the task. As you explore the Idolosphere, Mirages will spawn and try to bum rush you from all directions, though if you swing at them with your weapon you have a chance to gain the first turn. Once battle starts, Shin Megami Tensei fans will feel instantly acclimated. Your party of three takes turns slugging it out with the enemy, with traditional options being at your disposal, such as Attack or Run. 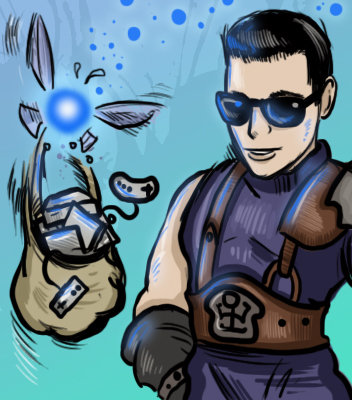 Using an attack or skill that the enemy is weak against not only deals heavy damage, but it has a chance of triggering a Session, where your comrades race in and deal strikes of their own. This isn’t a major mechanic early on, but when your party starts to fill out and they earn the ability to trigger Sessions when not in use, it becomes an absolute necessity. It’s also how you’ll obtain the majority of the components needed to advance your characters, as later attacks in a Session will generate money and Performa required for crafting. However, the reverse is true as well, as enemies can trigger sessions on your party simply by hitting them in their weaknesses. In addition to the elemental resistances that you find in SMT games, the weapon triangle that’s commonly found in Fire Emblem has been integrated as well. So if you notice your foes wielding axes, then you know it’s time to switch in a sword user. But if they have swords, you need to strike with your spears. And so on and so forth. The two systems interlock so well, it feels like both franchises have been using them all along. An SP gauge located in the upper right corner of the screen gradually fills up as your party does things in battle. The SP stands for Special Performance, and each character has a selection of these powerful attacks to unleash when the gauge fills high enough. They’re handy for getting yourself out of a jam, since they can replenish health or deal massive damage to an entire enemy party. Later in the game, Ad-Lib attacks may trigger when a character attempts to perform an action, that winds up being more devastating than what was originally chosen in a lot of cases (and is reminiscent of whatever side story was done to obtain them). Techniques involving two characters unlock much the same way, though you’ll often get a choice of which one to do if you opt to do one at all. There’s plenty to do outside of the Idolosphere too. Characters will contact you via the game pad (using a text message style of communication known as a Topic) about immediate troubles they may be having. These side stories act as the equivalent of Persona‘s social links in a way, as even though they are technically optional, you’re really limiting your potential by not doing them. 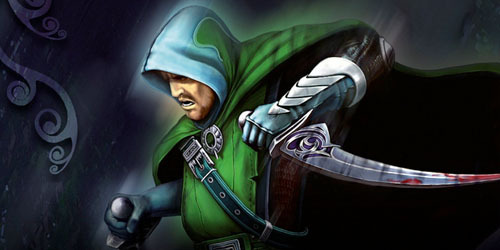 Party members learn new attacks and gain Performa that can be used to construct new abilities for them. The backroom of Fortuna Entertainment grants access to the Bloom Palace where Tiki awaits to construct Unities for your crew. They come in two flavors: Carnage (essentially the weapon you wield) or Radiant (passive skills). Using a Carnage in battle will level it up and unlock permanent skills for the character it is assigned to much like Final Fantasy IX. However, when all of your slots fill up you may be forced to drop a skill for a much more useful one, leading to a surprising level of customization. And if it turns out you want a skill back, you can reconstruct a more powerful version of a Carnage later in the game to level it up all over again. Tiki can also trigger class changes as well, which is a process that should be familiar to FE fans. I was shocked to learn that Tokyo Mirage Sessions #FE does not support off-TV play, especially since the game pad doesn’t do anything that could be considered essential. You’re also not limited to that as a controller. That being said, having the map at your fingertips is nice, and the game pad acts as a cell phone so that if a character in the game has anything important (or not important for that matter) to communicate to you, the information will be relayed to you immediately. Quest updates and available Unities are sent to you in much the same way. Despite all of my praise, the game certainly is not perfect. 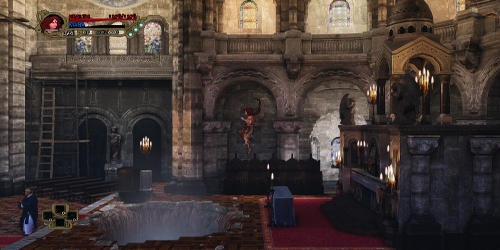 Some of the dungeons are a pain to navigate, particularly the ones with switch puzzles that require a lot of backtracking. Loading times are excruciating, especially considering you have to sit through one anytime you move somewhere new on the map. Battle transitions are overly long as well and considering how lengthy Sessions get to be near the end game, it’s tempting to avoid combat altogether if not for the potential of missing out on Performa. Also, even if you engage every enemy you run across, you’re often still underleveled for the boss encounters within the Idolosphere. The adjustable difficulty levels help to mitigate this, as does the DLC content, but the average player may find themselves having to grind a little more than they may want to. Especially since the drop rates on certain Performa can be rather pitiful. Your quest will last you approximately fifty hours or more depending on how much time you spend dealing with side quests. After you complete the game, you’re asked to create another save for the purposes of experiencing new game+, which maintains much of what you’d gained during your first outing. There’s plenty of post-game stuff to dabble with as well, so folks looking for a decent bang for their buck are in luck. The aesthetic is what really sells the experience. Since your party consists of pop idols and actors, the attire they don in battle when combined with their Mirages is very colorful and flamboyant. Battles are fought in the center of a screaming audience, making it seem as though your fight is a form of performance in of itself (which makes sense since you often sing songs to deal damage). There are various locales throughout Japan that can be visited as well, and while they may not be detailed to the same level of Akiba’s Trip, walking through areas like Shibuya were instantly recognizable to me. The anime sequences were nicely done as well, as it made it seem as though I was watching an animated music video in a lot of cases. Since the game deals a lot with Jpop, you would expect there would be a heavy focus on the music. And there certainly is. The songs that are performed during the various concerts in the story are maddeningly catchy at times, and even the more atmospheric stuff, such as walking around Tokyo or exploring the Idolosphere is pretty good. The battle themes are rather spot on as well, even if I didn’t find them to be as memorable as other SMT games. I especially loved the inclusion of the FE level up sounds. The dialogue is entirely in Japanese, which is just as well considering the location. Plus, I couldn’t imagine them re-recording a lot of songs in English and making them sound good. 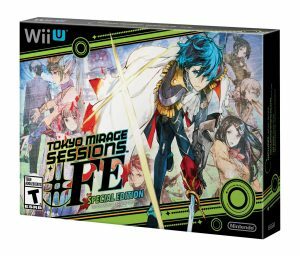 Tokyo Mirage Sessions #FE has been a hot topic for debate as of late, as Nintendo took the liberty of dictating some cosmetic changes. Having seen the comparisons, I honestly feel like the western costumes look better than the originals (save for the wedding dress looking one, which is just… weird). Some ages have been adjusted as well, which is not uncommon when dealing with underage girls running around in skimpy outfits. I understand that some folks don’t tolerate changes of this nature of any kind (which is another conversation altogether), but it didn’t impact my experience negatively, thus it had zero impact on my review. 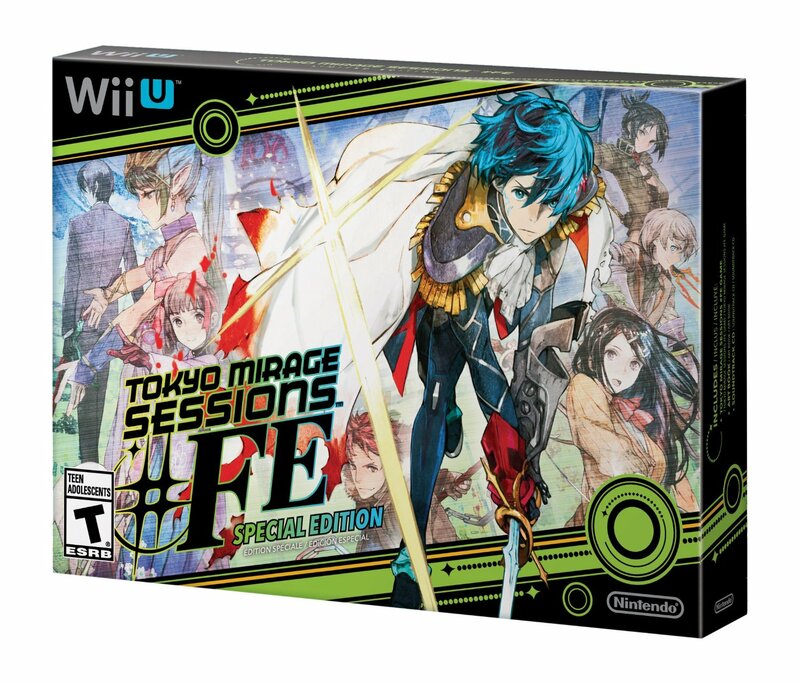 The Special Edition for the game is one of the better ones to come out of Nintendo (or Atlus for that matter). It’s not ridiculous in size and it actually has a lot of stuff in it to justify the cost. The art book is only okay in terms of design, though the contents are at least interesting. I thought the stickers that were packed in were a weird bonus, as no one would actually use them if they fancied themselves a collector of any sort. The CD is only six songs, but it does come with individual song sheets for each track, which was a nice treat and one that I didn’t immediately discover when I first opened the package. There’s also DLC included, which is more than just cosmetic (though there are some SMT outfits mixed in). It opens up new areas that are perfect for building up your characters quickly and to purchase them separately adds up to around $10 in of itself. 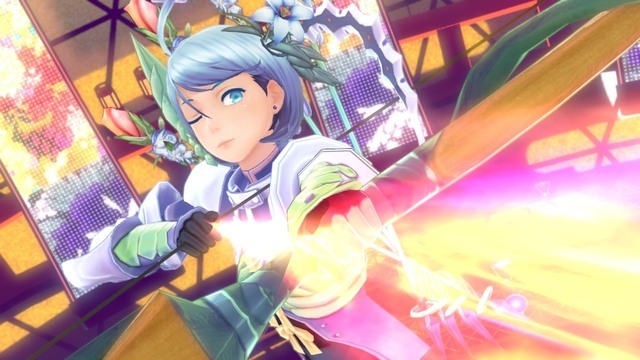 If I had to sum up Tokyo Mirage Sessions #FE in one phrase, it would be “Persona with Fire Emblem characters,” though even that is oversimplifying it a bit. The game has no business being as good as it is given how little resemblance it has with either of the two properties it draws inspiration from. At the end of the day, it was absolutely worth the wait and likely to be the best RPG on the Wii U. 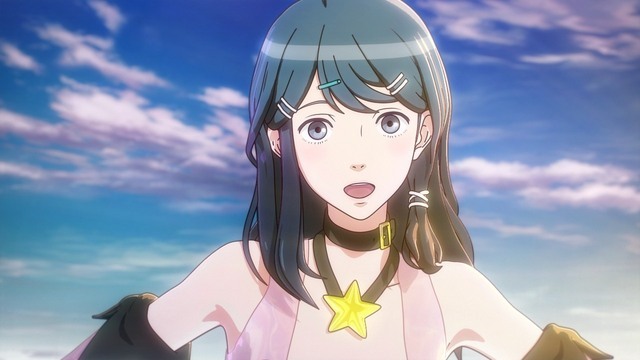 Yes, I even liked it better than Xenoblade Chronicles X.
Tokyo Mirage Sessions #FE is a fusion of the Shin Megami Tensei and Fire Emblem franchises, though it has less to do with either of those two things than one might expect. The combat combines SMT‘s elemental weakness exploiting and the weapon triangle of FE, but wraps it all up in a Japanese pop idol aesthetic. The overarching plot is somewhat predictable, though the execution and the writing is phenomenal. The main cast is very likable, each with backstories that can be explored fully via the various side missions and it’s cool getting a front row seat to idol life and the various performances that they all put on. Loading times are a bit of a pain and it’s unfortunate that a person can’t play without the TV (especially in a genre where someone might want to turn on Netflix in the background to grind levels), but overall this is an amazing package and a must own for JRPG fans.